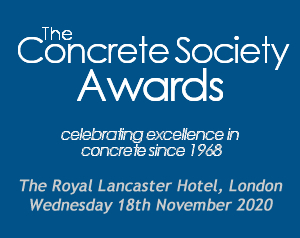 Over 450 members, guests and industry representatives attend The Concrete Society Awards Dinner which is being held in London on Wednesday, 21st November 2018. This prestigious event celebrates excellence in concrete and is the longest running awards event in the UK construction industry. Awards are presented by the charming broadcaster and presenter, Huw Edwards. Being a sponsor of this renowned event provides extensive brand exposure to a highly targeted audience of construction industry professionals with an extensive list of benefits. We have many sponsorship opportunities that can be tailored to suit your organisation's budgetary and marketing needs which range from full sponsorship of an award, including promotion of your brand on all published material before, during and after the event, to smaller sponsorship advantages such as table gifts, menus and drinks reception. With tailored packages starting at just £3,500 + VAT, this event is a valuable and integral part of your promotional activities for 2018.